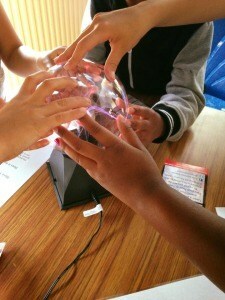 Science themed children's holiday clubs in Dorset run by Fun Science. Beat the holiday boredom with one of our holiday club activity days in Dorset, jam packed with hands on activities and experiments. All days are run by highly trained Fun Scientists with enhanced DBS checks and first aid training. There are currently no holiday clubs planned in Dorset. Please do keep an eye on this page or fill in the form below to be kept informed about upcoming holiday clubs in Dorset. Previous activities have included slime, rockets, potions, experiments, dissection and more. The sessions are suitable for children aged 4-10.